I’ve been working with Dr. Doug Graham, author of The 80/10/10 Diet among numerous other books, for the last 9 months or so. My journey with him began before my 100km race early this year. 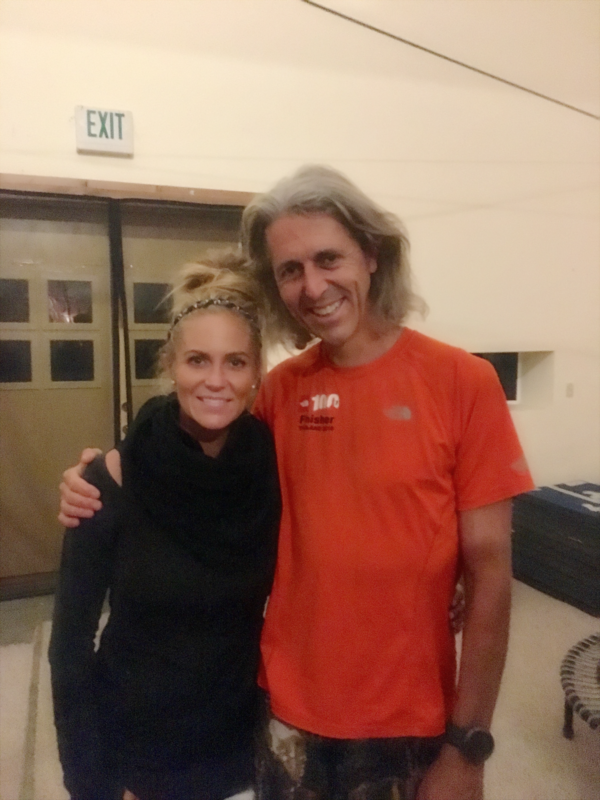 After an extremely successful outcome, I decided to continue working with him and train for my first 100 miler (read training phase 1 recap here and training phase 2 recap here). During this time, he invited me to attend his annual event, Health & Fitness Week in Washington state. Being a stay at home mom of three young children (the oldest is only in Kindergarten), I immediately declined as it just seemed impossible with our schedules and how many different places the kids all go at different times etc. Throw in the fact that it was during football season, and with Scott’s work as an Athletic Director for a Texas school district, that just added another layer of impossibility. But Doug wouldn’t let me give in that easily and I’m so glad he didn’t. After several months of dreaming about it, I decided to see if I could find enough help with the kids to make it actually happen. I was truly blessed by several sweet angels who agreed to step in and take care of our little guys and I was ultimately able to make the cross country journey to attend this life changing event. Words cannot adequately describe Doug Graham’s Health & Fitness Week. I am certain that it is unlike any other event in the world. And in typical Megan style, I’m going to probably be overly verbose in sharing my experience so my apologies in advance and consider this your long-post alert! It takes place about an 1.5-2 hours outside of Seattle, Washington on a beautiful piece of rural property settled in the foothills of the mountains. The views are incredible in every direction that you look. Elk and coyotes roam the region from time to time and their bugles and howls can often be heard. The nearby creeks and rivers bring another element of beauty to this amazing setting. In fact, one evening I even jumped into the creek on the property with my new friends before dinner. The water was freezing cold but it felt wonderful to run through the sunlight field laughing and playing along the way. I felt free and happy like a child again. We also were able to have some runs (or walks, if that’s your jam) where we were able to explore the area including the mountain! I’ll post a couple pictures at the bottom of this post. Health & Fitness Week is a time to take for yourself. You will be immersed in learning, fitness, and a lifestyle like no other on the planet. You are able to remove yourself from society for just a little bit which really helps you to focus on being present and taking it all in. There is no TV, cell service is extremely limited, and the Wi-Fi almost nonexistent. While this may sound a tad scary to some of you, it really was a welcomed treat to relax and unplug from the distractions of the outside world. Don’t worry though, you can still get a signal if you really need one – you just need to walk to different places on the property. It was just enough to be unplugged without being isolated. It was perfect. 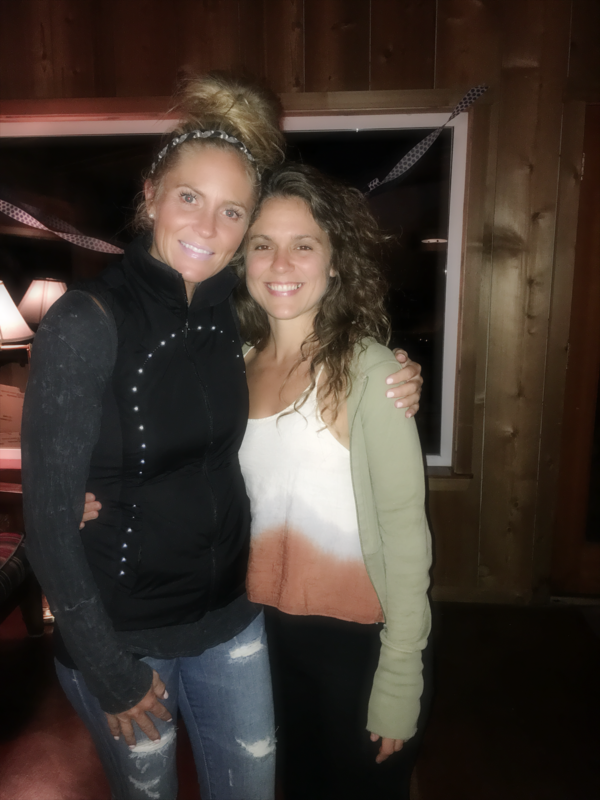 The people attending the retreat alongside you will likely be some of the most uniquely special human beings you will ever come across. The attendees at Health & Fitness Week come from all walks of life, many different backgrounds, varying diets and lifestyles, and all ranges of fitness. But they all have one thing in common – they want to learn and better themselves and live a healthful life. I felt so connected to my new friends and enjoyed hearing about each and every one of them and their stories. It was very difficult to leave when the week was over, yet at the same time, I could feel in my heart that I would get to see many of them again someday. I felt like we all belonged there together in fellowship, that they were my people, my tribe. Even though not everyone was a raw vegan, or even vegan, we all appreciate and love one another and it was a truly magical experience to be a part of. We are now bonded together and these are all friendships that will last a lifetime. This retreat serves 80/10/10 raw vegan food and it is absolutely fabulous. Erin Volentine who heads up the kitchen is an incredibly creative and talented chef. I’ve been following her on social media for years so it was super cool to meet her! Every single meal was delicious and beautifully presented. We enjoyed an abundance of fresh, locally grown fruits and vegetables. Her team was comprised of several hard working and talented staff members as well and together they far exceeded all of my expectations for food. Each morning we enjoyed a variety of juicy, ripe melons in unlimited quantities – many varieties I’ve never tried – and all were amazing. For lunch we typically had a smoothie of some sort with celery, lettuce and a few varieties of unlimited fruit. The evenings were a different theme each night (Italian, Greek, etc.) complete with ambiance and décor. We always started out with a fresh smoothie/juice and then we enjoyed an over the top ginormous buffet bar (with a heavy emphasis on greens/salad). I’ll include some photos below. Oh, and I must add that Erin and her amazing staff served us and cleaned up after meals too. You feel like fruitarian royalty at Health & Fitness Week!!! I’ll post just a few of my 130+ food photos below. Like I mentioned, being in this special “bubble” really helps you to dive into the full 80/10/10 lifestyle and fitness experience. 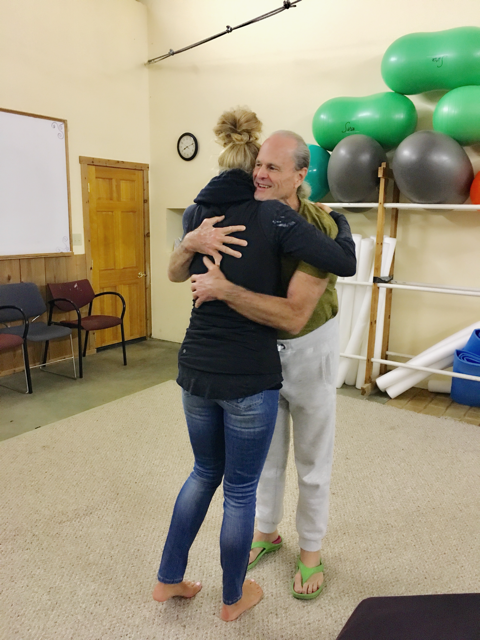 And in addition to being around some of the finest people on the planet, in an incredibly beautiful location, and consuming the healthiest and most delicious food imaginable, being in the presence of Dr. Doug Graham is the experience of a lifetime. As I left the retreat reflecting on the week, and even just the last year or two, I think I can honestly say that there is no other single human being on earth that has positively influenced my life more than Doug. From him I have learned the proper way to eat and in doing so, have improved my health and athletic performance tremendously. This doesn’t positively affect just me; it affects all those who know me. And what’s even more special to me is that it’s a chain reaction. Each one of us who attended the event will return to our lives and share our knowledge with our friends, loved ones and even strangers online. Eating an abundance of fresh, ripe fruits and vegetables is such a simple thing really, yet is so far from what our society brainwashes us into believing is food. Doug is a pioneer. A leader. His work is brilliant. I’ve known this since I first discovered him a few years back. And being able to spend a week with him in person, and to visit and ask questions anytime I wanted to was amazing. Everyday we had 3 fitness classes and 3 lectures. Doug taught many of the classes and I was blown away by his creativity. He taught us all of the different aspects of physical activity, and even better yet, had us practice them all, many times, and in many, many ways. This year we also had some guest instructors and lecturers, all of whom were extremely talented. One of them was the famous fruitarian ultramarathoner Grant Campbell and considering my current 100 miler training, having the opportunity to do several runs with him was extremely cool for me! He pushed me to stay with him and I set a new hour PR (7.25 miles) with him. Another instructor was Janell Burgess, an incredible athlete and professional dancer. She was so joyful and talented and brought a fresh perspective to movement and sport with her dance and yoga background. Author and PhD Glenn Livingston was also in attendance which was a cool surprise for me as I read (and loved!) his book, Never Binge Again, a few years ago and it was awesome to meet him and learn more about his background and watch his techniques in action. You can also check it out here for free. It is an awesome resource for anyone struggling to stick with their desired diet regardless of what kind of diet it is. For folks that are aspiring raw vegans, it’s extra cool that he is raw vegan though, as many of these kinds of resources do not support vegan and/or raw vegan lifestyles. Additionally, this year Dr. Graham’s wife Rozalind and his daughter were in attendance as well. 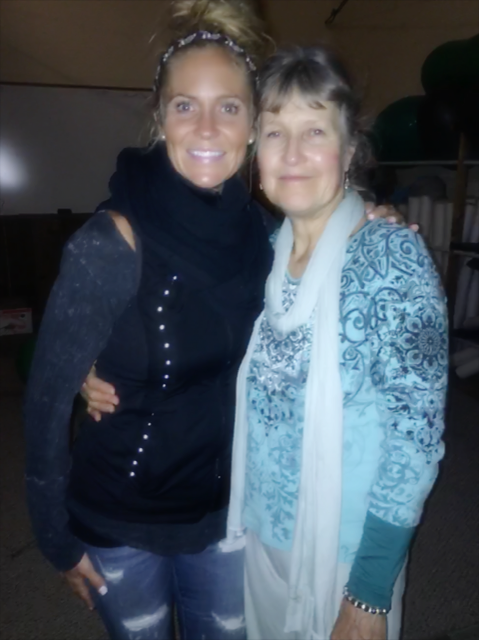 Rozalind led several fitness classes, all of which were excellent – very challenging and fun! She also participated with Doug in many of our lectures. She is just as brilliant as he is, as is their daughter. Rozalind found creative, fun and entertaining ways to teach us theories so that we would easily remember them which I know we all appreciated very much. I think that seeing, meeting, getting to know, and breaking bananas with their family (sorry, couldn’t say “bread” and couldn’t help myself lol), was another highlight of the week for me. Doug and Rozalind are role models for me as parents and as one of my friends there so eloquently put it, they definitely are “parents of the future.” It was inspiring to see them in action in this sense. Also, I have to share that their daughter who has never had a bite of cooked food in her entire life is an absolute delight. She is a tremendous athlete with incredible strength, confidence, power, agility, speed, and balance. She is smart as a whip, and has a shining personality, grace, and poise to match. She is mature and wise beyond her years. It just goes to show the power of raw foods and solid parenting. Doug has unique qualities that make him special as already mentioned, but one of the best things about him is his ability to push you to your limits. And he does it with good intentions and from a place of love. Doug has been pushing me to be my best ever since we began working together 9 months ago, but having the opportunity to train together in person allowed us to take it to an entirely new level. I’m a bit of a chicken when it comes to fitness outside of what I normally do (mostly just running, yoga and more recently deadlifting which I’m still learning). And Doug expects a lot from us. Because I struggle with fitness tasks outside of my comfort zone, there were numerous occasions where I was downright scared, if not terrified. Doug remained patient with me despite my protests and lack of confidence, and continued encouraging me. I don’t think anyone else could have talked me into a lot of the wild and unconventional drills that he got me to do, but Doug had already earned my full trust over the last nine months. I learned time and time again this week to also trust myself, my training, my fitness level, my nutrition, and my body. I faced my fears repeatedly this week and became a better athlete because of it. It takes an exceptional coach to influence this kind of development in athletes, and that’s exactly what Doug is. I look at this though and see how it applies in so many ways to my life at home. This is how I want to strive to be with my own children. Loving, gentle, patient, but holding high standards for them and solidly guiding them to achieve their best. The deep life lessons learned such as these are what really makes this event stand out for me. It’s much more than just health. And it’s much more than just fitness. It’s about community, compassion, and living the highest version of yourself too. I do want to note that it wasn’t all scary. Doug is so passionate about sports that he always finds a way to make his classes a lot of fun. You really have the opportunity to play just as you did as a child. Exercise with Doug is just fun! I easily give the experience 5 stars on all levels and highly recommend it to most everyone, especially those following and/or interested in 80/10/10 and improved health, regardless of their fitness level. It is a world class event. No detail is left undone. From the opening to closing ceremonies, to the beautiful place settings at each and every meal, I was blown away. They even wash and fold your laundry for you! I dream to return again to continue improving my fitness. I would love to bring a friend (or more!) someday with me. And I would really love to bring my husband Scott. Although he isn’t a raw vegan, I know he would still enjoy the food, love the mountains, and would love to learn and practice the fitness skills we were taught. Overall, it was an all-inclusive, top notch event. Truly one of a kind and worth every penny and all of the stress and effort that it took to get there. I send my gratitude and appreciation to Doug, his family and wonderful staff. If you have any additional questions about the event that arose after reading this or that I didn’t answer, you’re welcome to contact me here and I’d be happy to help. I’d like to acknowledge my wonderful family and friends who helped make this dream a reality. I especially could not have done it without my childcare helpers: Miss Donna, Giggie, Mimi, Miss Susan, and Vinessa. From the bottom of my heart I thank you deeply. Landri, Rex and Ty all love you all so much and it felt wonderful to know they were happy and safe with you all. To Lynda and Mike – thank you so much for the rides to and from the airport – I really appreciate it (and you literally saved me a couple hundred bucks probably!). And to Scott, I know you think I’m a crazy hippie dippie raw vegan fruitarian nowadays, and that this isn’t exactly quite the same girl that you married 13 years ago, but I promise you I’ve never felt more purpose in life, never felt better both physically and emotionally, and I have never been happier than I am now. I hope this is apparent to you too. I appreciate you tolerating my evolution over time and supporting me going on this trip. Over the years, this entire path to health and wellness has helped me to not only be a healthier human, but also to become a better wife, daughter, friend, mother, and human being and I thank you for your endless patience with me. You are Dad and Husband of the Year! Thank you, thank you! Thank you for this beautifully well written article. It was such a delight and inspiration for me to meet you. You are such a beautiful person inside and out. Knowing and watching you gives me strength. Awe thank you so much. I really appreciate that. This is an incredible recap of the event! You are such a great writer in addition to being talented in so many other ways. I loved how you described every detail of the event and agree that it is totally worth every effort it takes to be there. I’m very happy to have met you and thought it was great that you tried fitness activities outside of your comfort zone. You motivate and inspire me to try harder to maintain 80/10/10.